We did it, Sassenachs! 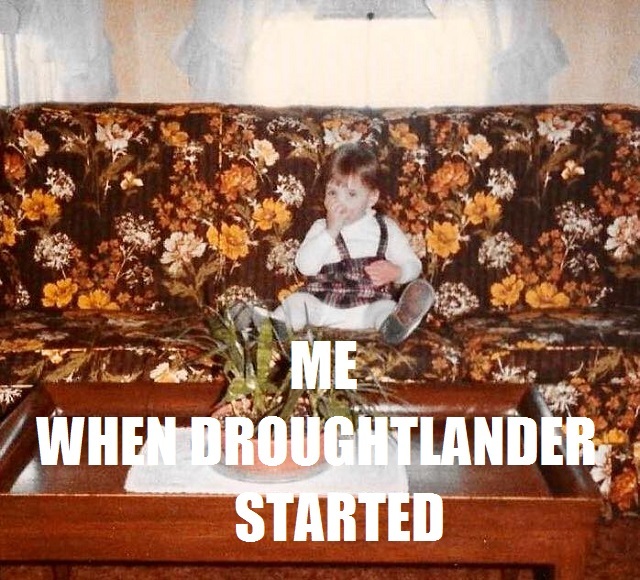 We survived Droughtlander! Honestly, it seems like forever ago when Outlander wrapped up its second season, leaving Claire at Craigh na Dun and Jamie preparing to die on Culloden moor. I dinna ken about you, but all of this waiting was starting to age me. That doesna matter anymore, though. We’re back in the land of lochs, lairds, and Lallybroch, and Episode 301, “The Battle Joined,” was SUPERB. 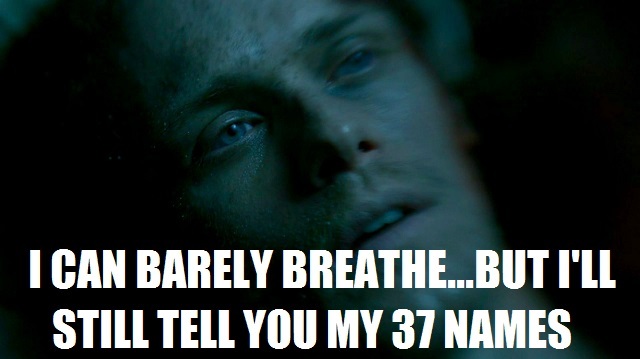 I cried, I flung things at the TV, I desperately searched for smelling salts when Jamie’s hotness had me swooning…. Yes, I know he was half dead, but he was a hot half dead, ye ken? The new season of Outlander calls for a new season of Outlander Superlatives, where I crown the best of the best and the gutsiest of the gutsy from each episode. 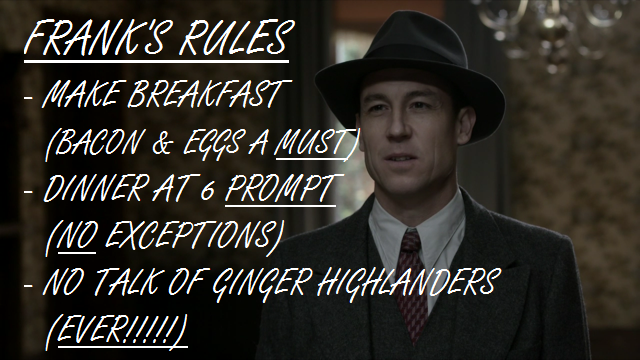 So let’s boil some tea, grab some shortbread, and talk about JAMMF—I mean the show, shall we? If I were a betting lass, I probably wouldn’t wager on the one-eyed, recently wounded, somewhat portly fella making it through the battle of Culloden with nary a scratch. 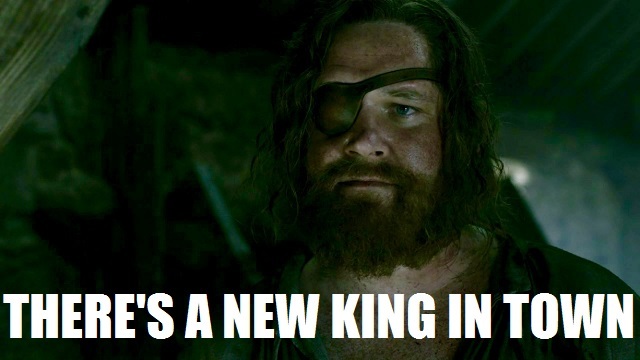 Is Rupert secretly the King of Men? 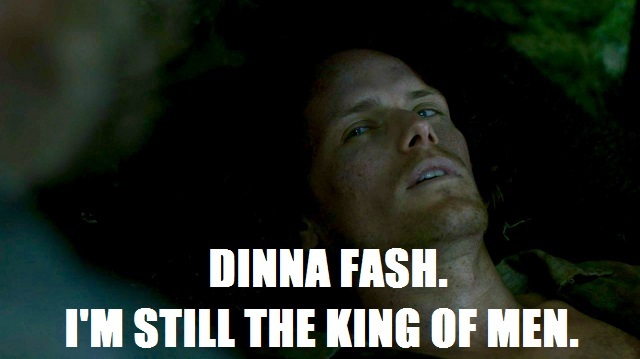 (Don’t tell JAMMF I said that.) 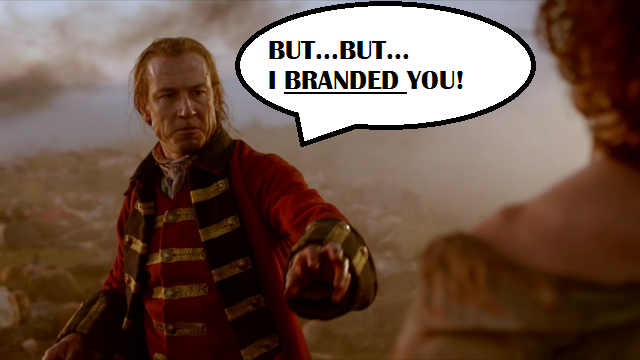 Not only did he get Jamie off of the battlefield, he took charge of all of the survivors and was the unofficial spokesman when the British came for them. Rupert has been with us since day one, so yeah, it really hurt to see him head off to face the firing squad. But at least he gave us—and Jamie—a farewell we’ll never forget, which, in true Rupert fashion, involved talk of farts and snoring. Miss you already, Lard Bucket. You’ve done your War Chief Dougal proud. Tell Angus hi for us. 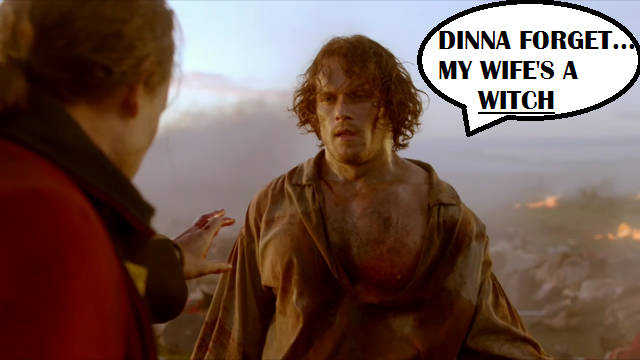 Dear Television Academy: WHY HAVE YOU NOT GIVEN SAM HEUGHAN ANY AWARDS? JAMMF barely spoke in this episode. He barely moved. He spent nearly the entire hour on his back and did all of his acting with moans, rattling breaths, and his eyes. And, guys, he emoted. I felt his pain so acutely that I wanted to throw myself on top of him and tell him that everything was going to be okay. I mean, yes. I always want to do that, but in this case especially. Awards. Now. Please and thank you. You know, I thought it would be tough to be a woman in 1745, but the 18th century has nothing on the male chauvinists hanging out in 1948. Even Dougal MacKenzie, Corn Grinder Extraordinaire, looks like Prince Charming next to Frank’s dean at Harvard. Seriously, is this guy the actual worst or what? 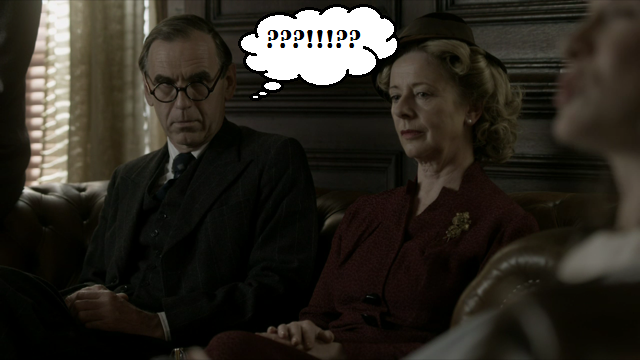 And then you have this guy, who’s just stunned that Claire can even speak. His wife doesn’t do that. 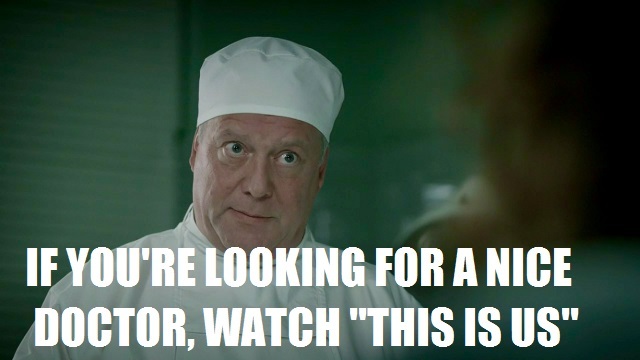 And don’t even get me started on the doctor who will only address Frank and drugs Claire against her will. Dude, you have zero idea who you’re dealing with. This is Mistress Beauchamp, former healer at Castle Leoch. She’s seen stuff you’ve never even heard of. So STEP. Look, Frank. You’re a nice enough guy. And I get that you “can’t help” that your face looks like your evil ancestor’s. But your wife went missing for three years and has repeatedly told you that she traveled 200 years back in time so…maybe don’t immediately start asking her what she’s going to be rustling up in the kitchen? Just a thought. 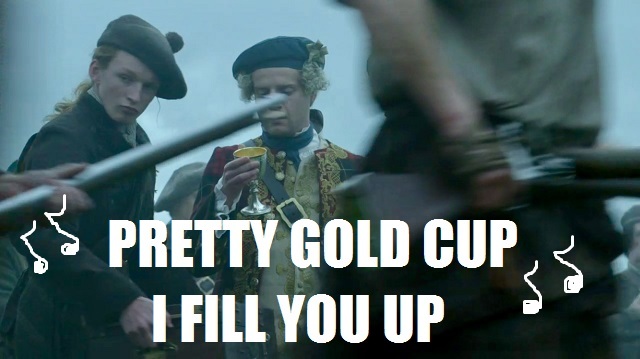 Thousands of his men are about to die on the battlefield, and BPC is talking about his fancy cup. Come on, Frank. Why you gotta hate on teabags? I like loose leaf tea as much as the next person, but it’s called convenience. 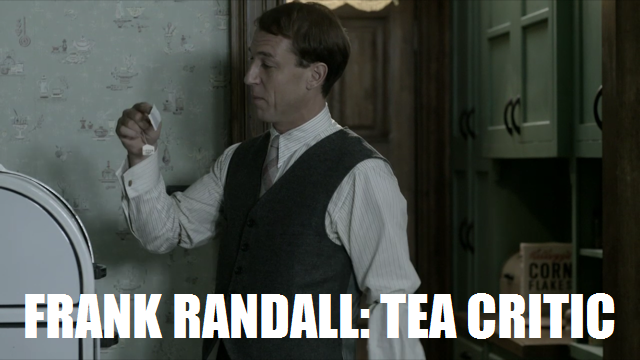 And if you have a problem with the kind of tea Claire’s buying, do your own grocery shopping. Look. Claire kept her mouth shut and didn’t tell off Dean Jerk. She cooked Frank his dinner over a fire. She didn’t even slap him when he shut down her plans of becoming an American citizen. So, yeah. The tension had been building. Frank needed to have something thrown at him. The ashtray was a casualty. And honestly? Smoking is terrible so maybe it’s for the best. 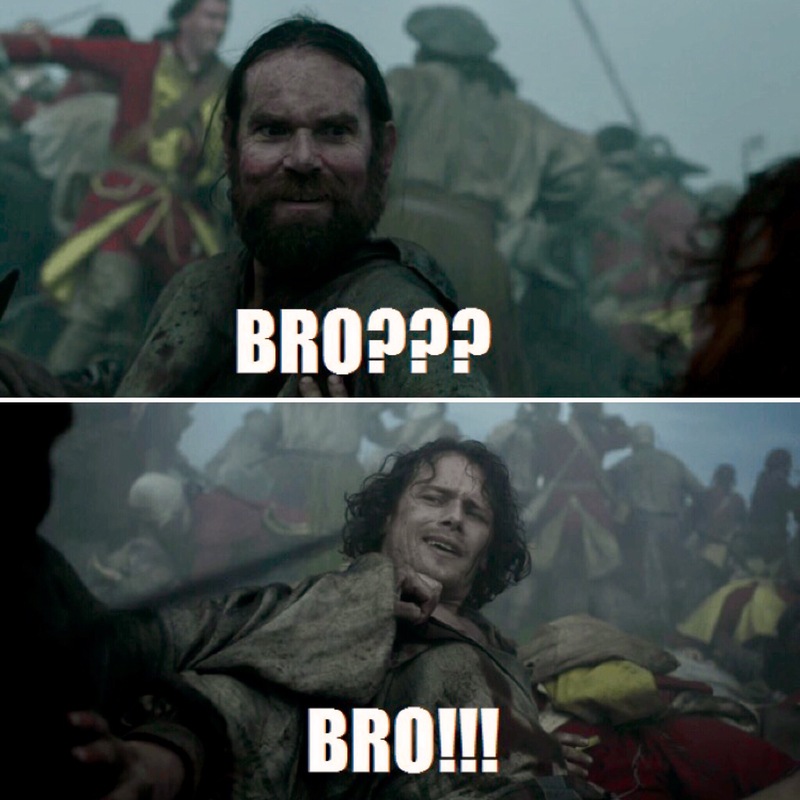 The Jamurtaugh reunion on the battlefield was just what we needed. 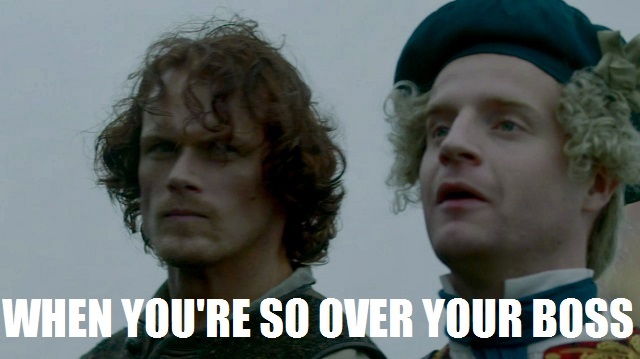 I mean, JAMMF had been having such a rough go of it. He’d sent his wife and unborn child into the future, had to listen to BPC prattle on about his fancy cup, and he just had to kill a bunch of guys, including that one guy he smothered with a clump of sod. Seeing his bromancer in crime, brief as it was, was just what the doctor ordered. But, like, a good doctor. Not Dr. Jerk. Also, WHY DO WE NOT KNOW WHAT HAPPENED TO MURTAUGH ON THE BATTLEFIELD? This is what we’ve been waiting for. 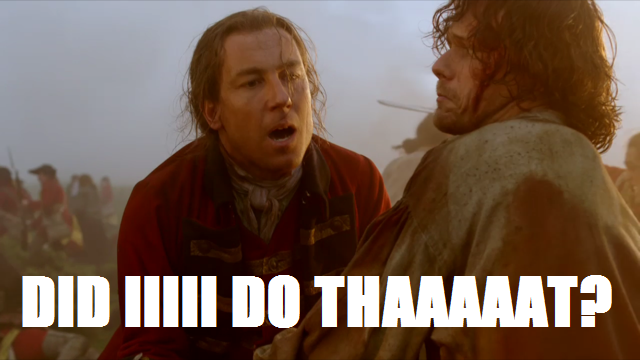 All that time when JAMMF was like, “I’m gonna kill Black Jack!” and Claire was like, “Can you not? Because Frank, Frank, Frank…”–that’s all in the past. 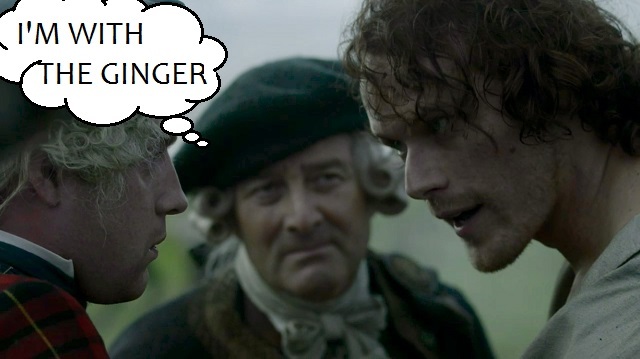 And the look on Jamie’s face when he sees stupid Black Jack on his stupid horse? Vengeance is his, y’all. 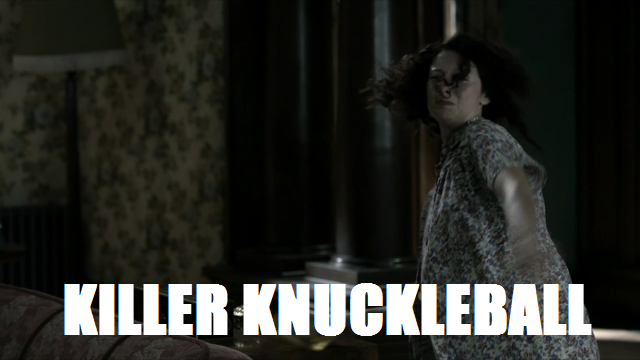 So, what did you think, Sassenachs? Did you have a favorite moment? An episode MVP? 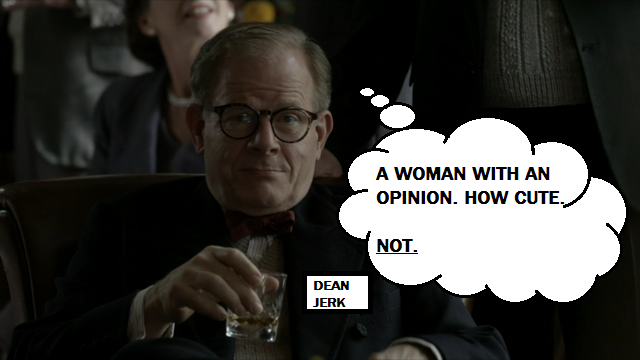 An uncontrollable urge to throw tea at Dean Jerk? 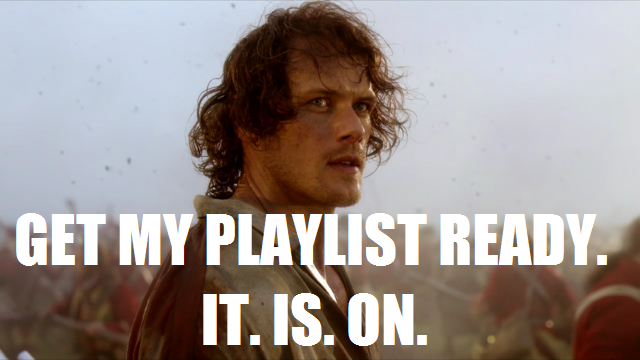 Sound off below, and don’t forget to come back next week when we discuss “Surrender”–and more of Jamie’s perfection.